Kind wants to celebrate acts of kindness. See someone being awesome? Send them a #kindawesome card and they can redeem that card for a free Kind snack. 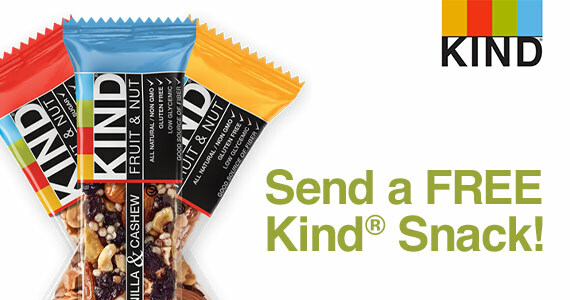 Click through and get started to send a friend a FREE Kind Snack Bar. How yummy is that?